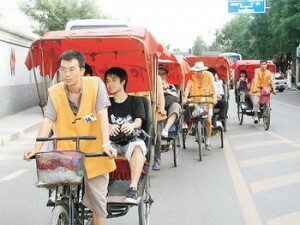 Arrive in Beijing Capital International Airport where you will be met by tour guide and transferred to hotel. Free time for the rest of day. 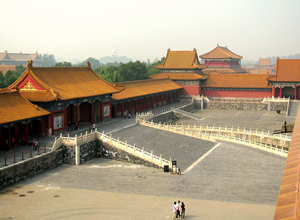 Depart from your hotel in the morning to visit Tian’anmen Square-the World’s largest city square, and the Forbidden City-the largest and most complete ancient imperial palace in the world. Then visit the Temple of Heaven in the afternoon. It is an impressive architecture where Chinese empeors held prayer ceremonies for good harvests. 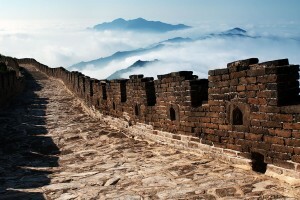 Today we will witnesss the great world heritage-Mutianyu Great Wall. Have lunch near the Wall, and then drive back to the downtown and have a short exterior visit to the Bird’s Nest and Water Cube in Olympic Green. Spend our last morning in Beijing, by visiting the Hutong by rickshaw to learn about the old Beijing life, and the Summer Palace, the best preserved imperial garden in China. A full day sightseeing starts with Jade Buddha Temple-famous for the delicate carved jade Buddha imported from Burma. 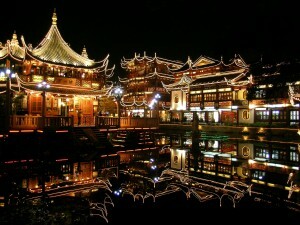 And then, go to Yuyuan Garden, a beautiful South China classic garden. 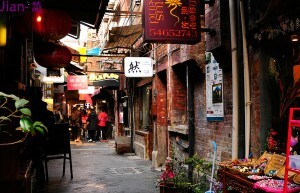 Move on to the nearby Chenghuangmiao Old Street. After lunch you will have an exterior tour of the Oriental Pearl TV Tower– the most charming landmark of Shanghai. And then, go for shopping in Nanjing Road, which is the earliest commercial street in Shanghai, and have a leisure walk along the Bund to see different foreign style buildings of the city’s colonial period. Free at leisure until be transferred to the airport. End of our service. Beijing hotel to Beijing South Railway Station transfer by our Beijing tour guide and driver & Shanghai South Railway Station to Shanghai hotel transfer by our Shanghai tour guide. Shanghai is not only modern but old and have its culture. 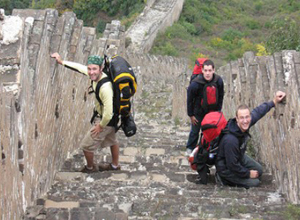 Today we will visit the two representative ancient attractions as well as learn to be a Shanghainese. First come to the beautiful Yuyuan Garden to see the pavillions, rockeries, ponds and corridors. Then visit the Jade Buddha Temple, which is a popular Buddhist temple among local people and is famous for the two jade statues of Buddha impored form Burma. What’s more, we will take a tour to learn to Be a Shanghainese. You will be taken to the Caoyang New Neighbourhood, the first new-birth neighbourhood for workers since the national liberation in 1952. After that you will visit a local food market and call on a local residence to make dumplings together and have lunch there. After lunch, be transferred back to your hotel. 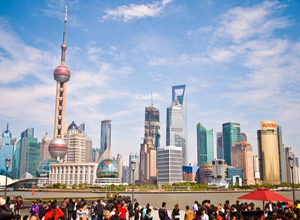 Today see the modern part of Shanghai by visiting the Shanghai Museum and Oriental Pearl TV Tower. The Shanghai Museum is the biggest and thought as the best museum in China. The Oriental Pearl TV Tower, one of the tallest TV towers in the world, is known for its novel design and gives a charming view of Shanghai. After the tour, be transferred to Shanghai South Train Station to catch the train back to Beijing. *High-speed train tickets: Bejing-Shanghai, Shanghai-Beijing.